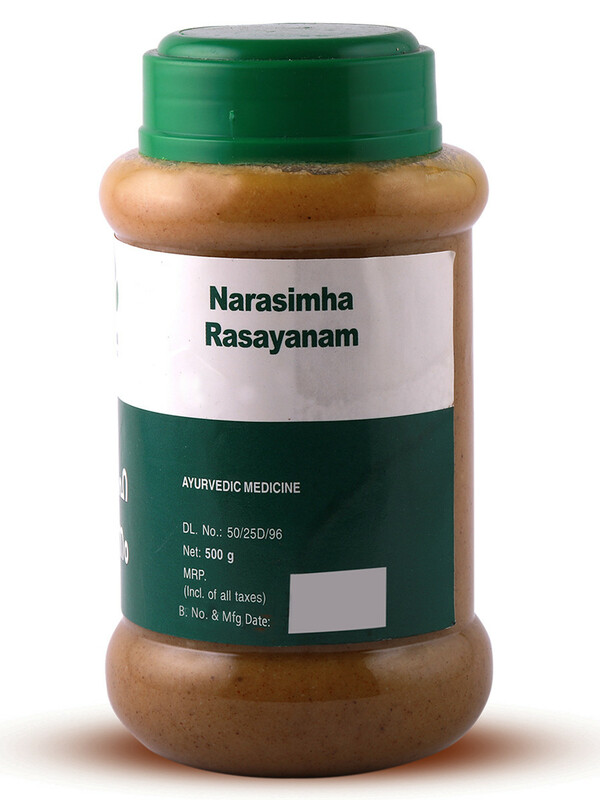 Narasimha Rasayanam is a well-known but unique classical formulation. 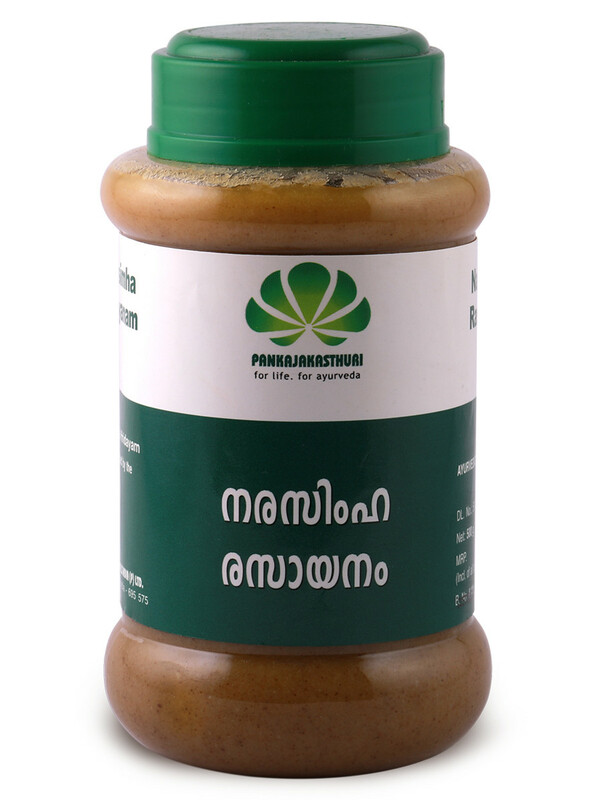 This is an ayurvedic jam made out of butter, honey and milk. 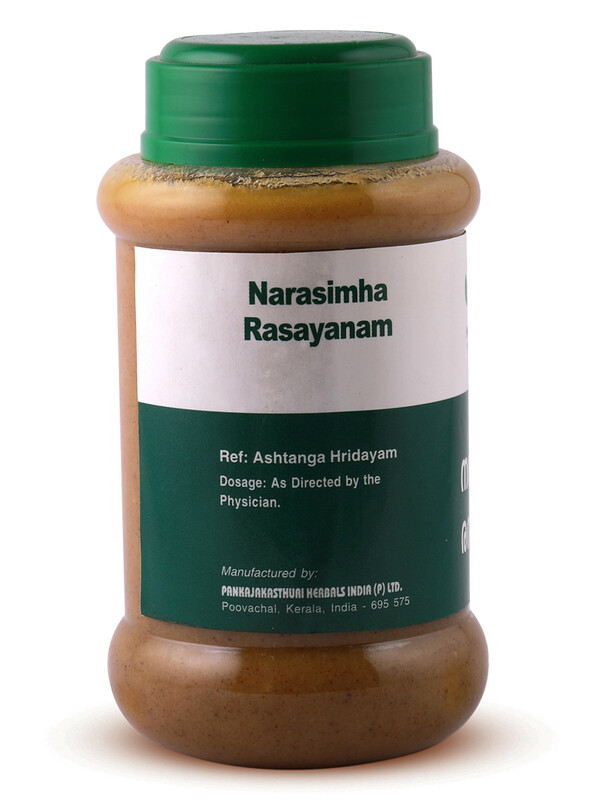 Triphala and shatavari present in this Rasayanam is a well known aphrodisiac. 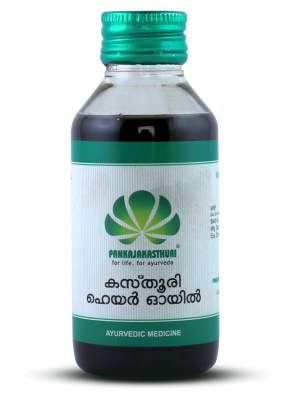 The medicine is also included in the preparatory procedure of Panchakarma. It balances all three doshas, and is used for multiple health complaints. 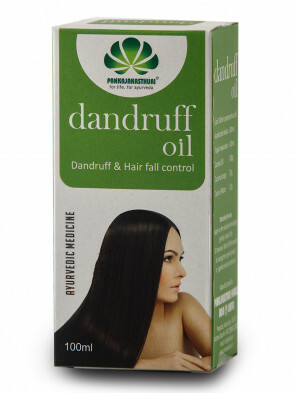 * This dietary supplement is beneficial in rejuvenation, improving immunity and libido. 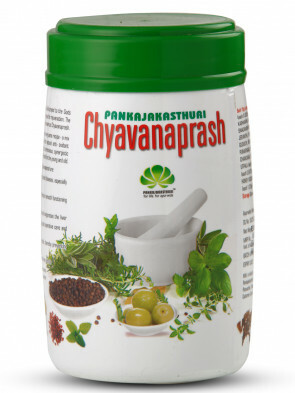 * It also improves physical strength, complexion of skin and prevents degenerative changes. 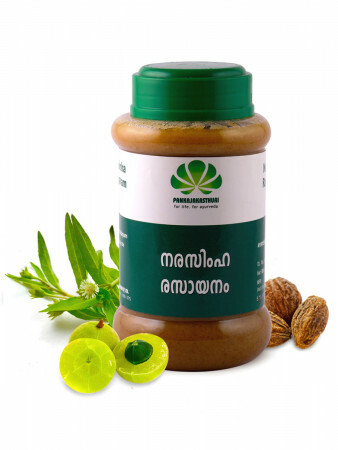 * The unique hair nourisher, Bringaraja, which is mainly used in preventing premature graying and hair loss also forms a part of this preparation.